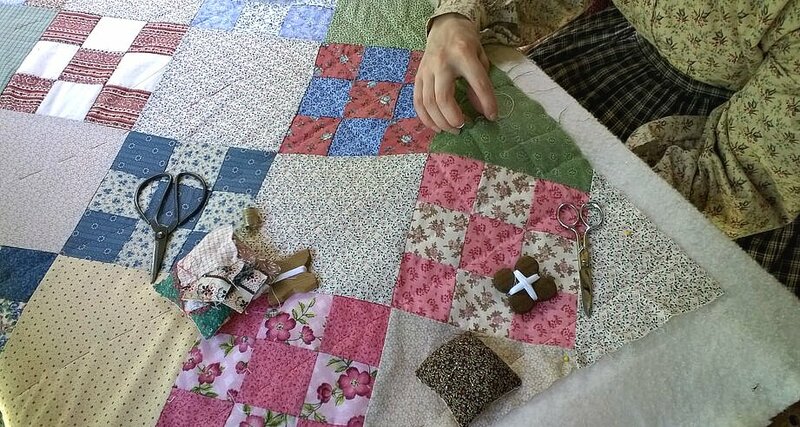 Quilting in America is more than a simple catch-phrase for many Americans, rather it's a part of a personal history and heritage. Many of us grew up hearing stories of ancestors who built farms and towns across the vast emptiness of the American plains. During the Depression, nearly everyone developed ways to make the most of what they had. Enterprising women used every little scrap of fabric -- flour sacks, worn trousers, old suits, tobacco sacks, and more -- to clothe and warm their families. 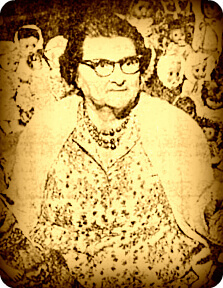 My mother told of wearing flour-sack dresses and snuggling under the weight of patchwork quilts, hand-made by her grandmother, Big Mama. As a child my bed, as well as all the other beds in the house, were always covered with Big Mama's patchwork quilts. Made from scraps of her fabrics and worn clothing, it was a comforting connection to an extended family and heritage we rarely got to visit. There is something special about snuggling under a warm quilt on a cold night. Though light in weight, the quilt soon traps the body's heat in the air cells created by the quilting -- the unique combination of layering and stitching. Soon the quilt becomes a cozy, enveloping shield that no icy blast can penetrate. Quilts are so much more than just warm bed covers -- they are love, care, memories, hope, and creativity expressed through the patterns, materials, and hands of their makers. While quilting is an ancient art practiced in many cultures, quilting in America is relatively new. 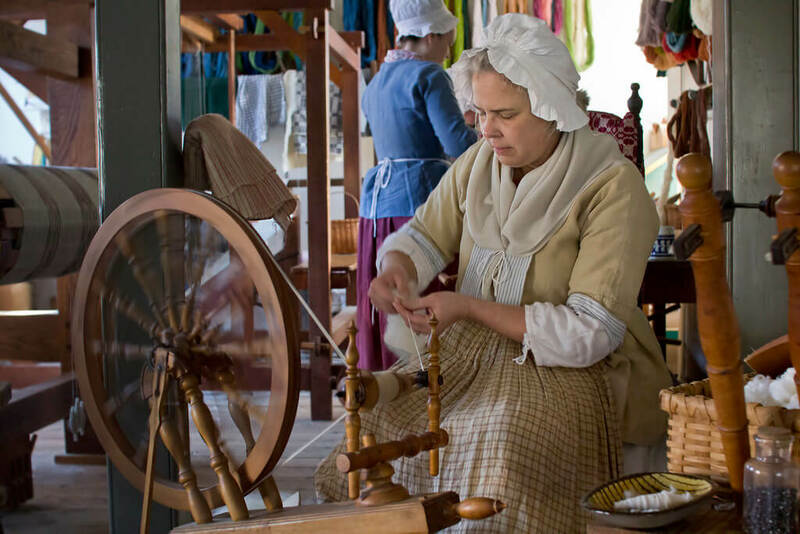 During Colonial times (late 1700s - early 1800s) quilting was rare because women typically made clothes for their families using spinning, weaving and sewing activities. 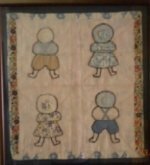 Few colonial women had enough free time for quilting. Toward the mid-1800s the mass production of textiles made fabric affordable to most families. 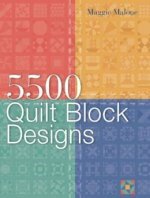 Quilting became widespread and quilters began experimenting with combining fabrics into blocks, then merging the blocks together. As the pioneers moved west and settled new territories, the availability of manufactured goods was limited. Ingenuity and resourcefulness allowed them to use and reuse materials to make bed-coverings to warm the chilly nights. During the 1970s and 1980s interest in our heritage grew. As people explored their past, quilting in America was revived and has blossomed into a creative art form that challenges quilters to explore new ways to express themselves with fabric, texture, color, and pattern. 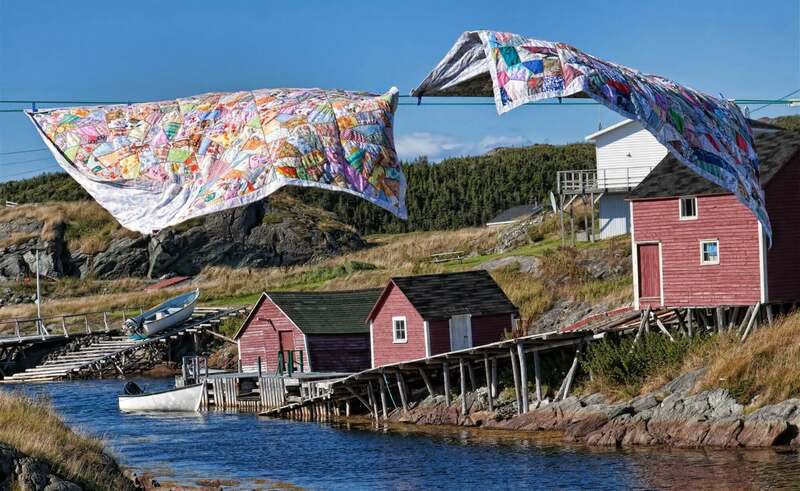 In addition to the traditional types of quilts, contemporary quilters have found ways to incorporate elements of 21st Century technology, art, and culture into their quilting. In addition to traditional types, such as Friendship Quilts, some popular new variations include Memory Quilts and Awareness Quilts. What about you? Is part of your heritage expressed in the careful stitches of an heirloom quilt? Was it a gift or an old one passed from one generation to another? 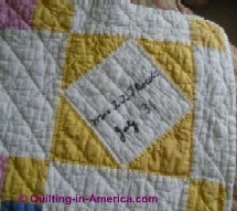 Share your pictures and stories on our Heirloom Quilts or Vintage Quilts pages and enjoy the contributions of other heirloom quilt owners.